A field "textarea" created an input element of a multi-line text. The "textarea" returns this text as value. Optional, write a text by default. It is applied at the first load of a form. 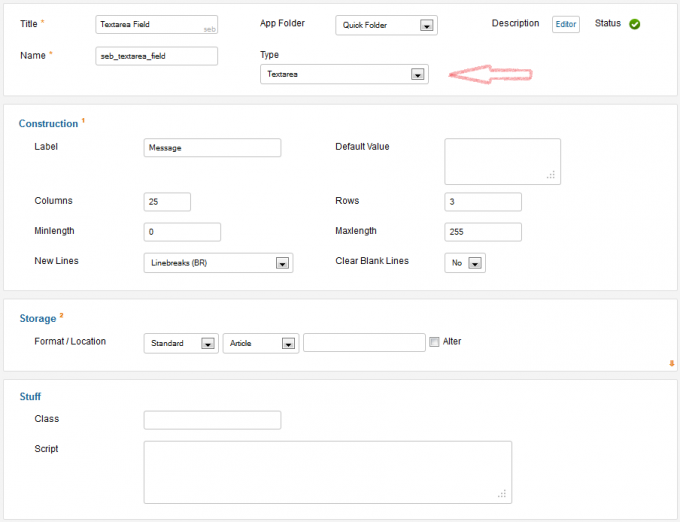 Required, write the width of the textarea field in the form. By default, this value is equal to 25. Required, write the height of the textarea field in the form. By default, this value is equal to 3. Write the minimum number of characters below which the input text into the textarea field is not valid. Write the maximum number of characters beyond which the input text into the textarea field is not valid.